This entry was posted in Autism, Autism Positivity, Parenting and tagged @The Huffington Post, anorexia, Autism, Autism Positivity, autistic, bulimia, eating disorders, I wish I didn't have Aspergers, suicidal. Bookmark the permalink. Very powerful posts — both yours and Genisa’s. It’s very clear to me Ariane that you are not equating eating disorders to autism. What does come across very well is the common ground of living and suffering in isolation and then finding support in a community of people who share common challenges and experiences. We all need that kind of ‘family’ support, especially for those of us who didn’t or still can’t get it from our own birth families. We are not alone, none of us — and we all need love, support and encouragement. I hope Genisa finds all of that and more — and I wish the same for all of us who suffer in so many different forms of isolation, neglect, rejection and hostility. Thank you so much Richard. You’ve summed up what I was trying to say and felt I was muddling through, perfectly. I’ve edited this post about a dozen times now and at one point thought I should just delete the whole thing, except that I’d already published a version of it on the Huffington Post! I also had to shorten my reply as they have a limit on words, so my original post from yesterday was shortened to fit their requirement. Sometimes less is better, at least when it comes to me and my talking. I tend to talk too much, which is a female Aspergers trait. That combined with not fully comprehending social situations, or reading people right, can make for very awkward and upsetting situations. I am a very sensitive person. I don’t always show it, but I do feel it. I am luck to have found a NT husband and we have two boys. One has been diagnosed as pdd/nos(but was severe when he was younger. He is now 11. My other has yet to get a diagnosis, but he is a little mini-me, so I dread for his future. It is different being the Mom with Aspergers as there isn’t a lot out there when you “google” it. It is mostly about Dads with Aspegers from the NT moms perspective, but I find it all does help. 2. I have “googled” quiet a few phrases, as that is where I go to find anything when I need an answer. In the past month, I have “googled”: “alone”, “lost”, “seeing the world as it goes on, from behind glass”,” alone in a crowd”, support services for adults in my city(to which I really found none for those concidered “too high or too old” on the autism spectrum. ) I think I fit the “too old” as I am now 37. “What is life like without Aspegers”, “I wish I didn’t have Aspegers”, “puzzle piece that doesn’t fit” , etc. Also look up pics to explain how I feel and I use them on FB to explain to others how I feel since many times, my words just don’t seem to do. I also have great artistic ability and had gone to an Art college on a partial scholarship back when I was right out of college. Back then, I was not diagnosed and had no idea as to what I needed and I got very depressed. Aspergers was only recognized in the U.S since 1994 and I graduated from high school in 1993. Once an adult, they don’t even look at you for a possiblitiy for an autism spectrum disorder. Many seem to think it disappears after 21. It doesn’t. 3. As I said, I’m now 37, but wasn’t diagnosed till I was 34 with Aspergers. Diagnosed with many other labels, but none really fit. It wasn’t till a new Dr. I took my son to, that she diagnosed Aspergers, which at the time, had no idea what it was. I “googled” it and found that it didn’t fit my son, but it really fit me and my whole life. My son fit the regressive autism. It was then that I got assessed from a professional that had knowledge in Aspergers in women. It has not been an easy life, but at least I know why I never fit in as a child and now as an adult and have no friends, beyond ones my husband has. I used to volunteer a lot, but no longer do because any support I did have, such as an advocate, Aspergers therapist(can’t afford to drive to the only place that accepts adults and is a 115 mile round trip drive) had no respite for 6 months and my marriage is now suffering greatly from it. Not that our marriage was all peaches and cream before hand, because being the wife half of the marriage makes for even a more difficult situation than I feel it does for when the husband has it. It is usually the wife in the marriage that is expected to “change” or make it work. 4. I need my husband to do this, and I have found that men do not have this ability, or at least the ones that I know were married to females with Aspergers. Many end in divorce, also. We have held on for going on 12 years. I have so much to say, but no one to say it to. When I do want to talk to someone, there really is no willing listeners. I have people tell me that if I want something bad enough, I can achieve it. How do I change the way I am wired? I can’t. It is the way I am. I volunteers with quite a few things for my kids a couple years ago, but I found that there really isn’t much support, or understanding from others, so I have slowly dropped out of most of it. At one point, I was on the board for our local Challenger league baseball organization(for special needs kids) and coach for my son team; assistant cubmaster and assistant den leader for my sons Cub Scouts pack. member of my sons schools parent teacher organization; Room parent; committee member on our local autism groups fundraiser committee; on a policy council for my younger sons head start, etc. 5. I loved it but it was such a struggle to get anyone to accommodate my needs on most of them, or to get them to understand me and the way I did things or thought, or they just can’t see my abilities beyond my difficulties. I struggle to just get out of bed many days, before the kids come home from school. Coffee keeps me going. I love my family very much and I want what is best for them. I fight like crazy for my sons needs at school with his IEP and have done most of it all by myself. I have had a difficult life, along with growing up in a very dysfunctional family. 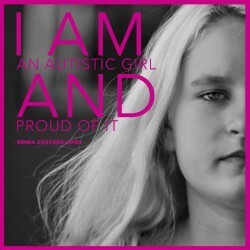 My brother was assessed for autism when he was about 8, but when my mom asked about me, they told her that “girls don’t have autism”. We all know the truth about that now, but it is about 30 years too late for me to have gained something from early intervention as a child. I do have several perspectives of living with autism though. I am a Mom with Aspergers raising kids on the autism spectrum; I am a wife with Aspegers; I am an adult with Aspegers. I can tell you it is all very difficult and many times, you feel very alone. It is hard to find other moms on the spectrum, because many are not even diagnosed. 6. They struggle through life, and still don’t know why. Having an answer does help, because I know I am not alone, even though I feel like it, I know that I am not “crazy”, it is that I am wired differently and experience things unlike many others and they either do not want to or can’t see it from how I see it. I do my best, but it is a daily struggle. I know I can’t be the only one out there that has typed in “I wish I didn’t have Aspergers, and I hope the all can find the supports they need to survive. p.s. also wanted to say, my Dad died when I was 20 and my Mom when I was 31, so when it came to support from the ones that love you and care about you the most(or at least are supposed to) have already passed away, you feel very alone. It is very difficult when your have Aspegers and your parents are are no longer around to support you like you see other parents doing for their adult children. I’m lucky to have an Aunt in town that I can talk to and she is very supportive. She is like a second Mom and I don’t know what I would do without her. I am very thankful for her in my life as I am about having my husband and my two boys here with me as we all go on our journey in life. I am so happy you wrote, Genisa. I have read every word you’ve written here and when the Huffington Post gets around to publishing the rest of your comment, then others will read your words too. I know from all the emails I’m getting on FaceBook that many, many people are thinking about you and are reaching out to you there as well. No, you are certainly NOT the only one who’s typed those words into Google. I think it is because you aren’t the only one who has, that so many wanted to create a blog to support you and so many others like you who feel alone and isolated and misunderstood. Sometimes just knowing you have people who care about you and whom you can reach out to can make a big difference. It won’t change the way society shuns those with disabilities, it doesn’t mean people won’t continue to say or behave in hurtful ways, but at least you can know that you aren’t alone in your pain and hurt.